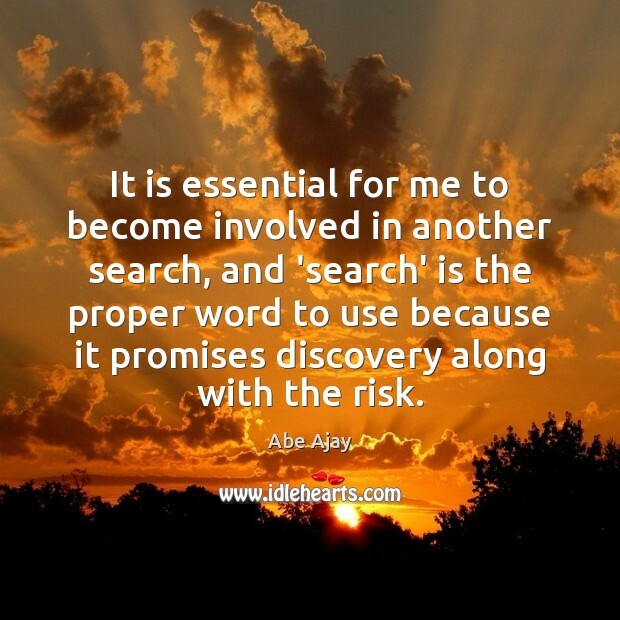 Enjoy the best inspirational, motivational, positive, funny and famous quotes by Abe Ajay. Use words and picture quotations to push forward and inspire you keep going in life! 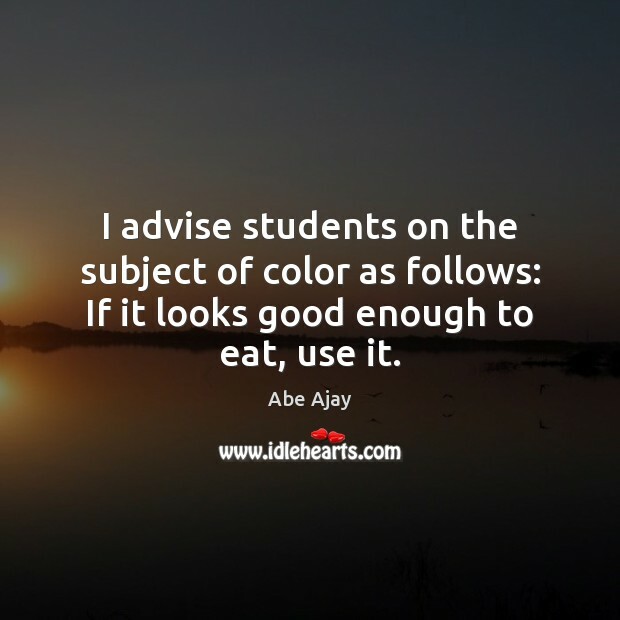 I advise students on the subject of color as follows: If it looks good enough to eat, use it. 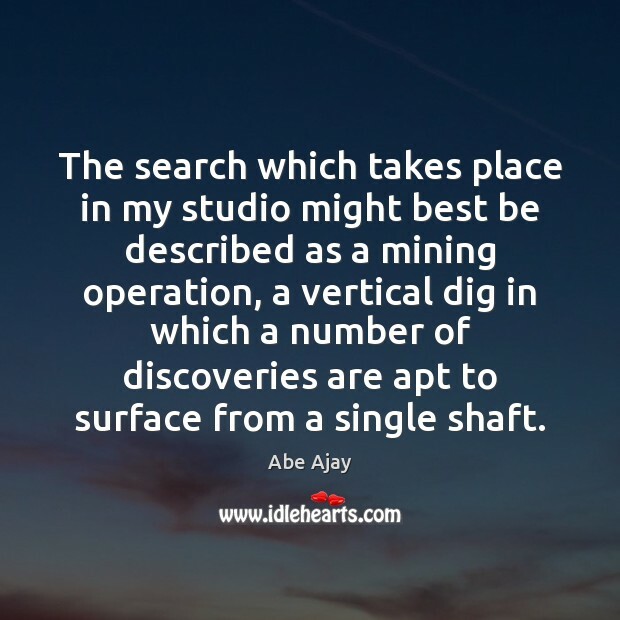 The search which takes place in my studio might best be described as a mining operation, a vertical dig in which a number of discoveries are apt to surface from a single shaft. 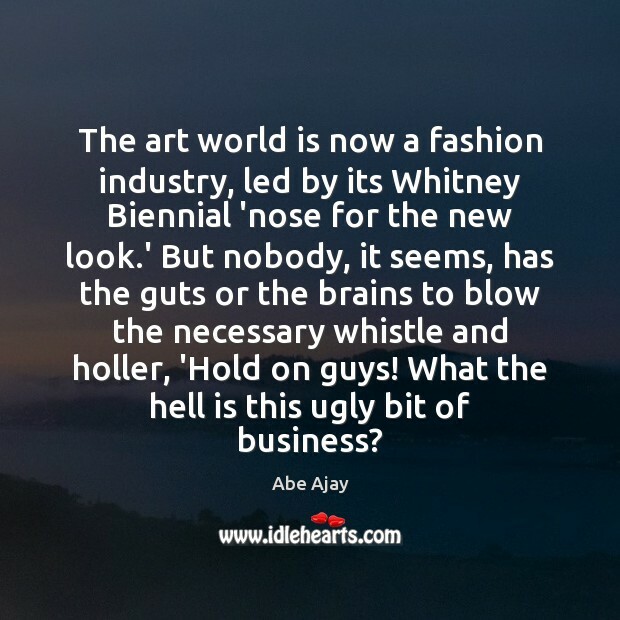 The art world is now a fashion industry, led by its Whitney Biennial 'nose for the new look.' 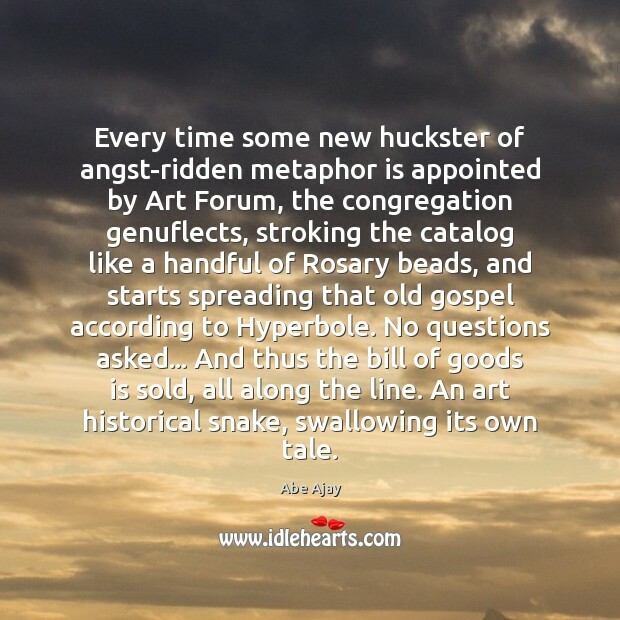 But nobody, it seems, has the guts or the brains to blow the necessary whistle and holler, 'Hold on guys! What the hell is this ugly bit of business? 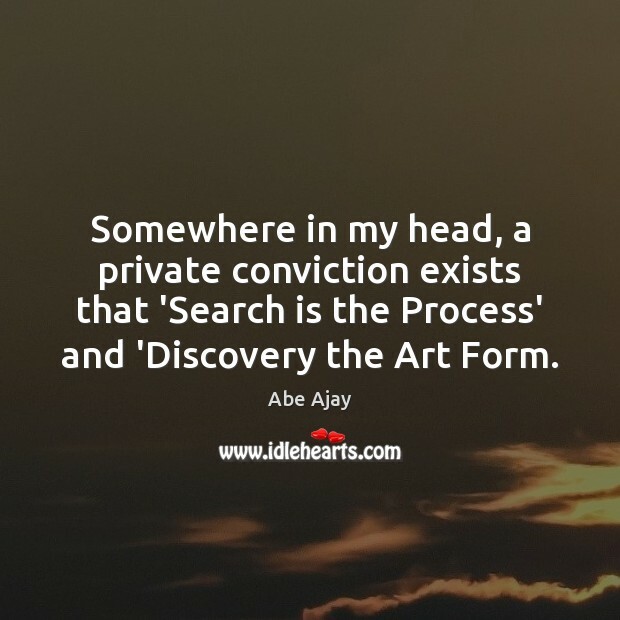 Somewhere in my head, a private conviction exists that 'Search is the Process' and 'Discovery the Art Form. 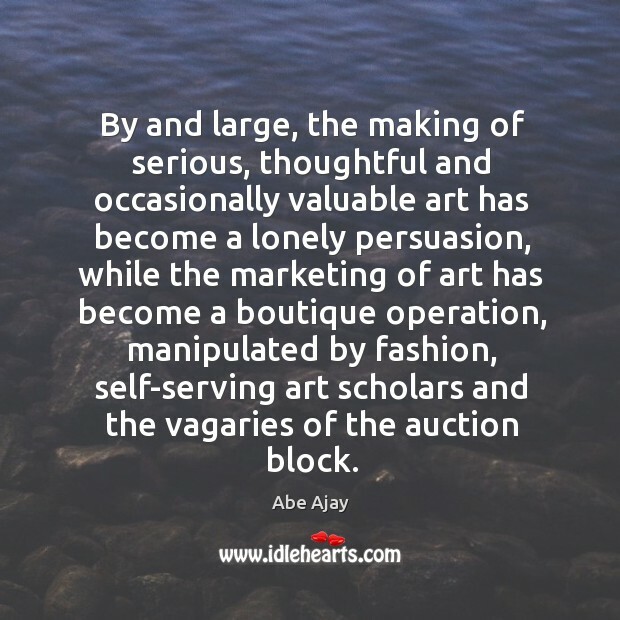 By and large, the making of serious, thoughtful and occasionally valuable art has become a lonely persuasion, while the marketing of art has become a boutique operation, manipulated by fashion, self-serving art scholars and the vagaries of the auction block. Collage-making, for me, is basically an act of painting, allowing me to indulge in an appetite for immediacy.